Located on the tip of Palawan, El Nido remains a beach town paradise left undisturbed by big tourism, corporations and hotel chains. 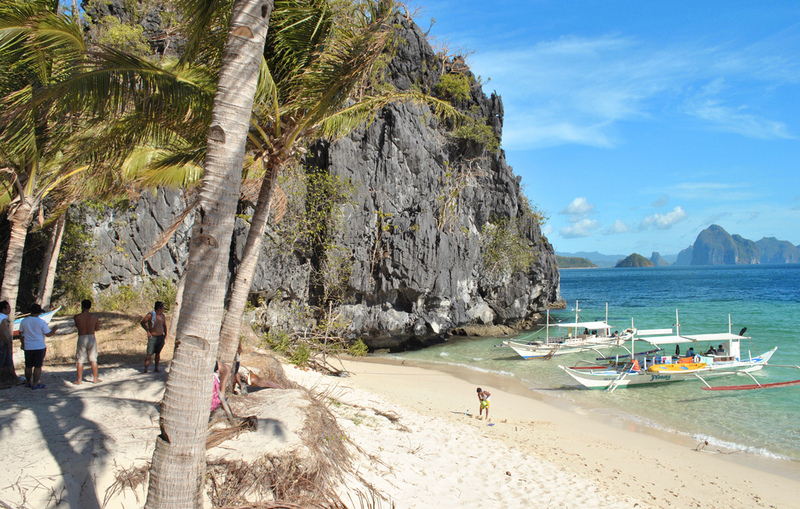 El Nido is our last stop on our tour of Palawan Island. I have been more excited about seeing El Nido than any other city on this trip, and after the nightmare journey we had trying to get here, my expectations are high. 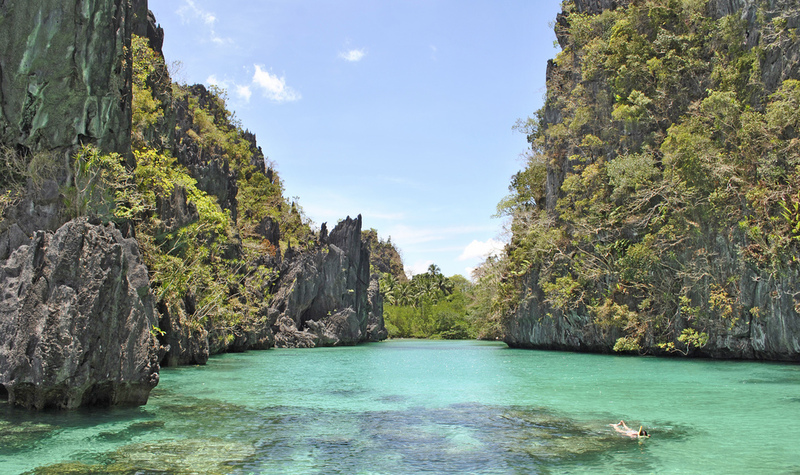 The cliffs of El Nido are often compared to the scenery in Vietnam’s Halong Bay. Having never been to Halong Bay, I can only speculate; but upon seeing the cliffs here, I assume these must rival Vietnam’s in both size and beauty. The rocky cliffs surround the little town and create a natural beach paradise, complete with turquoise water, gentle waves, and white sand. 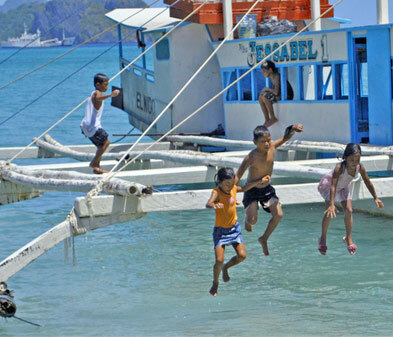 Coming to El Nido does not require hotel reservations unless you come during a christian holiday (especially Easter). 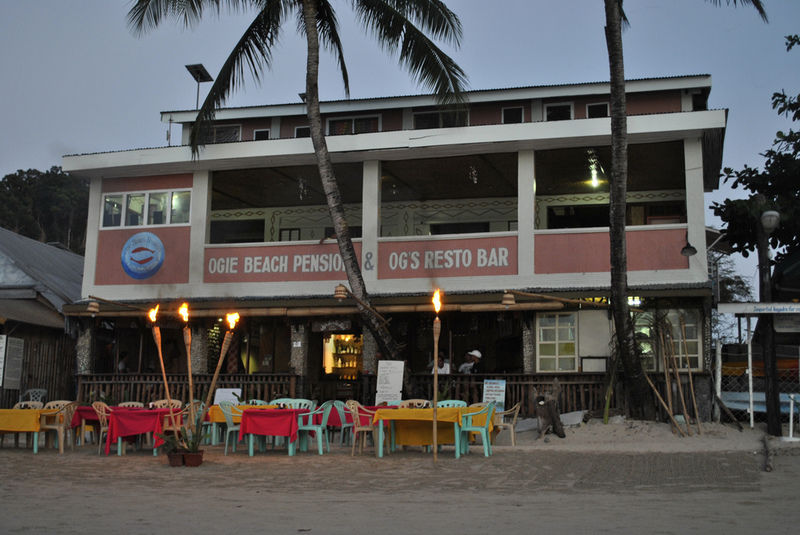 We took our time finding accommodations, and have settled on Ogie’s Beach Pension. Rates here vary from $20-50, and we opted for a room with AC for $35 after negotiating. The electricity in El Nido is only on from 6pm to 6am, so we only ran the air-conditioning at night. Basically we have been falling asleep comfortably and waking up in a sauna. The first few mornings I have awoke in a panic, looking for smoke from a fire. It’s a blessing in disguise. We have been waking up early and extending each day here by a few hours. 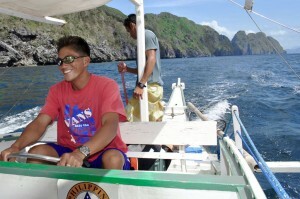 There are four full-day tours that El Nido has “created” for its tourists, A, B, C, and D(only 1/2 a day). 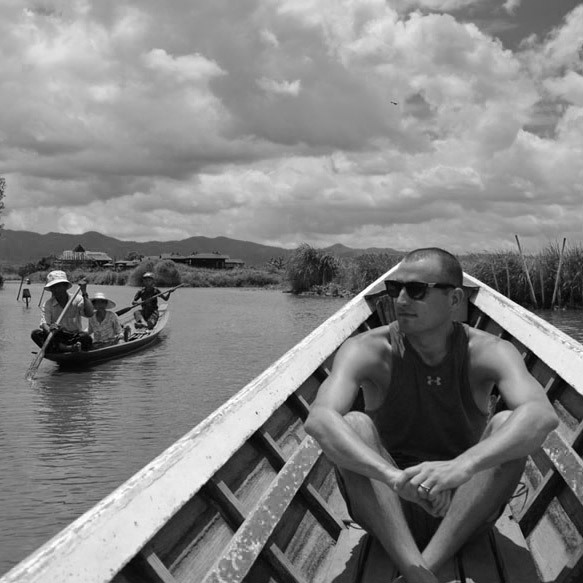 Each tour is offered by a variety of local shops and they all follow the same structure: visit smaller islands throughout the area, eat lunch, snorkel, and sometimes kayak. We tried both tours A and C and they were both great. Tour A took us kayaking through some lagoons, and tour C took us into what is known as The Secret Beach. Like everywhere in the Philippines, we have two options for beer: San Miguel or Red Horse(also a San Miguel beer). The nice thing about being on a beautiful beach is that any cold beer tastes good, so for me to review those beers just wouldn’t be fair to the beer. 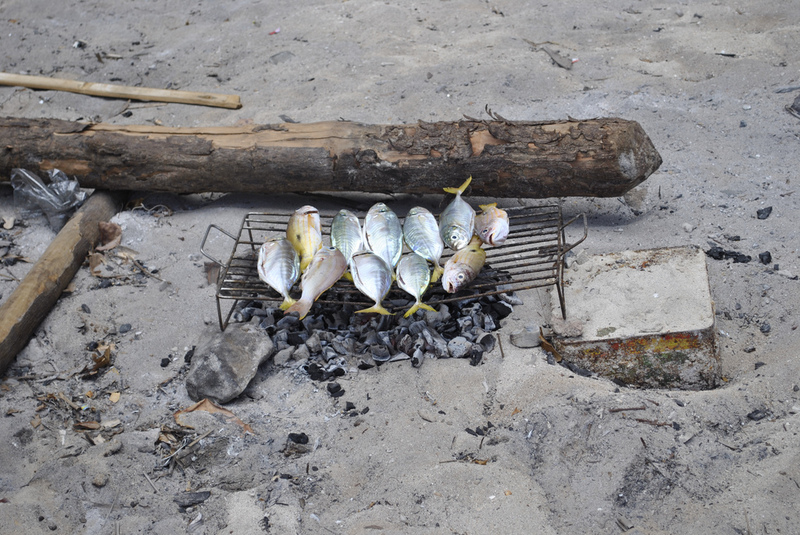 El Nido is the one of the few places we’ve been where you eat seafood that has been caught in the last 24 hours. 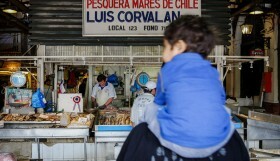 The fish gets grilled right in front of you, and is served completely whole. Scales, bones, head, all of it. If one is used to the Red Lobster, than this style of serving fish will take a little adjusting to. 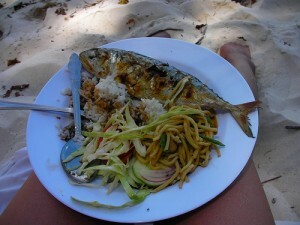 And although the Philippines is not known for great food, these fresh fish lunches on the beach were wonderful. I don’t dislike seafood, but I can only take so much before I’m craving red meat. Because there is no electricity during the day, I am very cautious on what red meat I order. Most restaurants have pizza on the menu, and their pepperoni is basically dried, salted meat that doesn’t need refrigeration It’s amazing how good that can taste after three days of yellowtail. 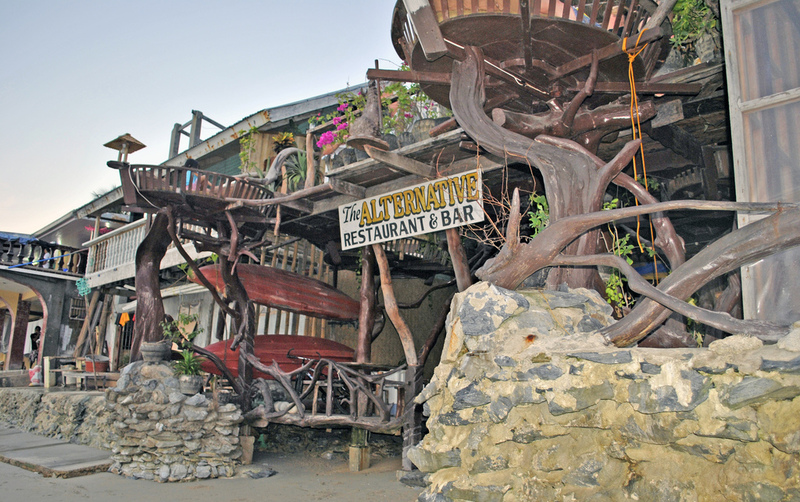 My favorite restaurant at the end of our time here was Balay Tubay, a former secret meeting place for Filipino Guerillas during World War II that has been converted into a bar by the great grandchildren of the original owner. We had pizza here three nights in a row, and last night we played a four-hour long euchre match with some Canadians. Other than the island tours, there isn’t much to do besides laying around on the beach. The town can be explored a bit by foot, motorbikes are available for rent to explore further inland, and there are quite a few scuba shops set up on the beach as well. Most of whom do full PADI certification. Not a bad place to spend a week or two and learn how to scuba dive! Alissa and I spent nearly all of our down time sitting under an umbrella for the beach and jumping in the water when we got too hot, mixing in a few breaks on the shaded balcony of the hotel. 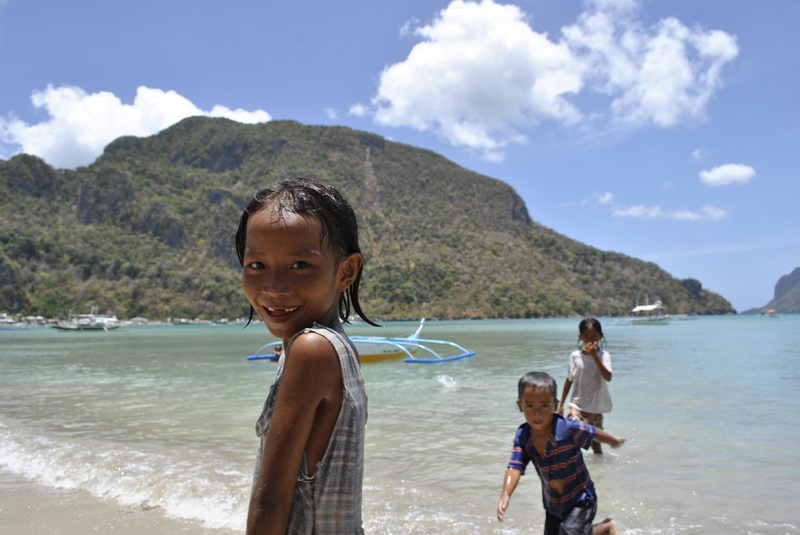 There are hundred of kids living in El Nido, and many spend their days on the beach swimming and playing/jumping on the anchored boats. Remember, there isn’t electricity until the afternoon, something parents in the U.S. would be thrilled about in the Summer when their kids are inside all day playing Call of Duty. When we swim, the kids come over to say hello, and when we have our camera they ask to get their picture taken so they can see themselves in the viewfinder. It occurs to me that a majority of these kids haven’t seen very many pictures of themselves. 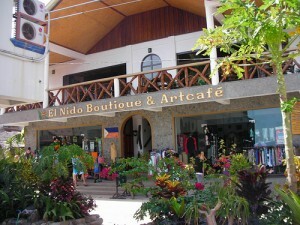 Nearly every day includes at least two stops at a local shop called the El Nido Boutique & Artcafé. The shop is run by a married couple(Tani and Judith), and they have really become the face of tourism in El Nido over the last 15+ years. They have a restaurant, tourism desk, library, convenience store, and live music. I recommend visiting here first when you arrive in El Nido. Their tourism desk is also where you can purchase plane tickets and book hotels in Manila. 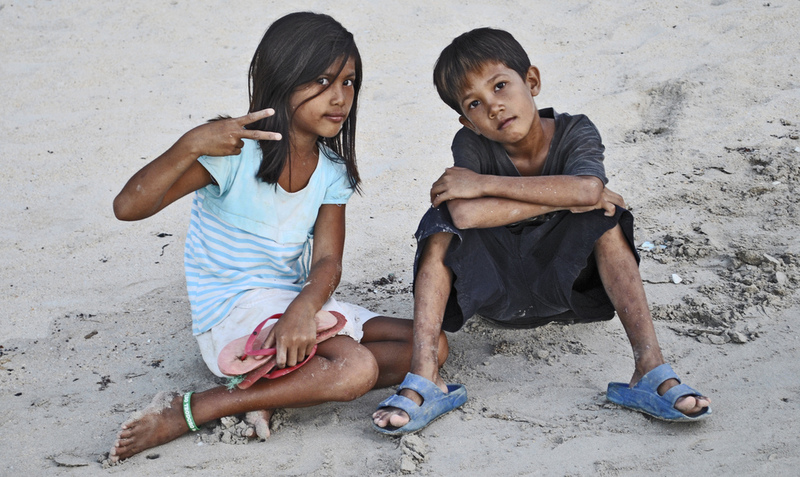 Tani and Judith know everyone in town, so they are also the best resource if something goes wrong or if you need some advice on traveling from El Nido. They also have their own generators, so they have cold drinks and reliable WiFi all day long. I’m writing this post from their beautiful balcony right now. Enjoying some of their breakfast. 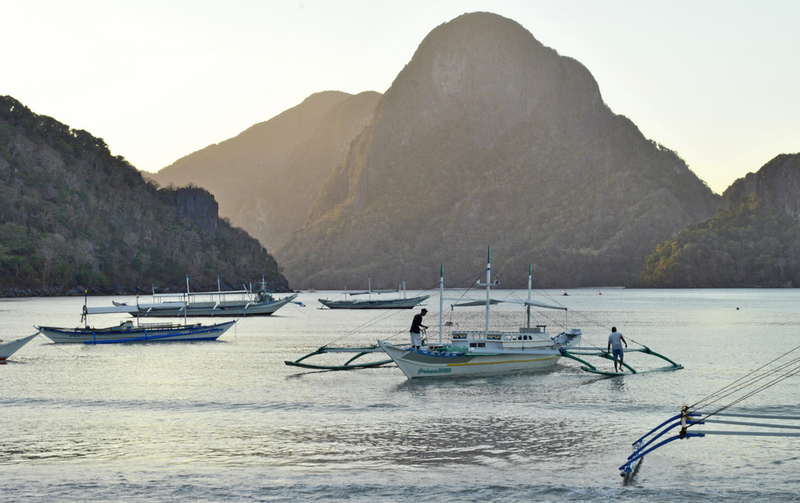 As we prepare to leave El Nido, we do so with the belief that we will be back in the future. 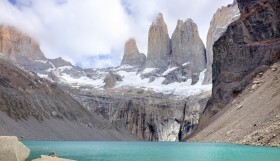 Few places have had the combination of massive beauty without massive crowds of tourists. We have felt like the town was all to ourselves, and the people here are so amazing. Note: The restaurant/hotel in the slideshow above with the bird’s nest seats is called The Alternative. If you want one of those seats, get there early. I can’t think of many other places in the world I’d rather have a beer than in one of those nests. 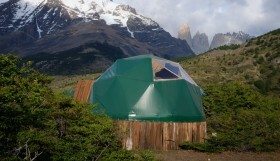 Also a great place to stay. 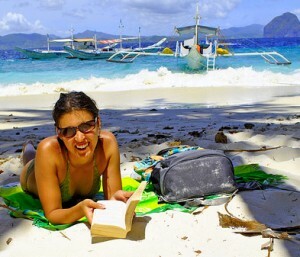 It was fully booked when we were there, but I recommend trying The Alternative first when going to El Nido. Glad you were able to enjoy it as much as we did! Thanks for commenting. 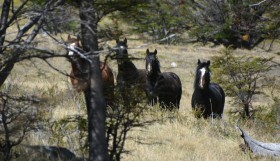 We are headed there in 2 weeks!